"Lies, secrets, and magic — three things that define Kayla's life. 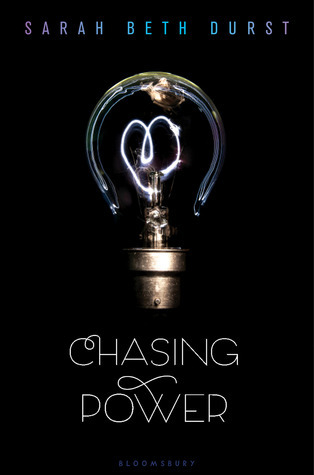 Chasing Power begins with an intriguing scene as we learn of Kayla’s unique telekinesis power and her living situation. It then develops into something greater than herself as she is forced into an adventure in search for three powerful ancient stones. I was hooked from the beginning, because I find books containing characters with special powers interesting. When Daniel came into the picture, I smelled the insta-love a mile away. I absolutely loved the concept of the book, as well as Kayla’s story and the interesting plot twists, but the weird twists (such as infusing foreign cultures and history) brought the fascination down a bit. It felt like it was too much to take in, with how simplistic the book started off, and the constant explanations and stories from Queen Marguerite really slowed down the book’s tempo. On the upside, I found how the book led off from a cryptic clue (Daniel’s mom’s note) to a larger mystery and problem, very suspenseful and it really kept my interest. In all, Chasing Power is a nice book, full of adventure, that can be read quickly because of how it keeps the reader’s interest. The plot isn’t complex, and it’s quite entertaining! I would recommend this for the middle-grade to young adult range, and for those who seek a good pleasure read of dauntless mysteries.